On our last day in San Francisco we went to the San Francisco Museum of Modern Art (SFMOMA) which was walking distance from our hotel. 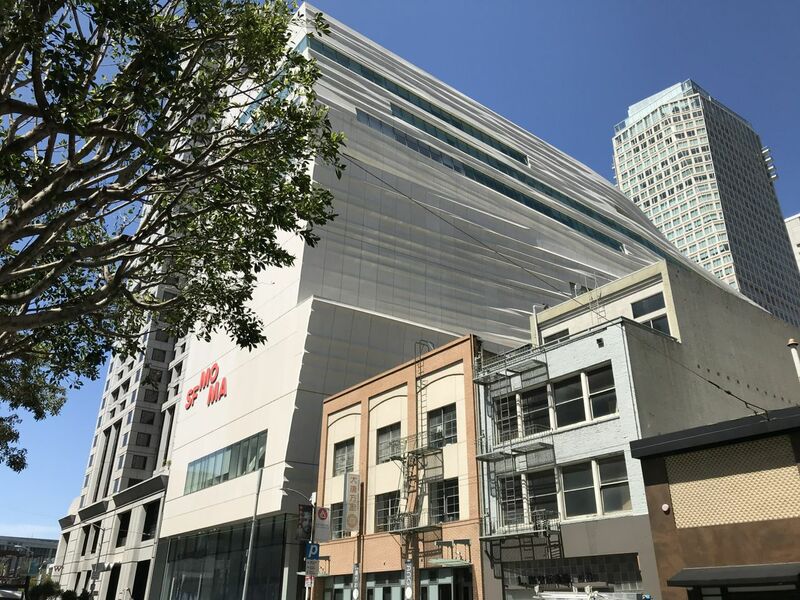 The museum had recently undergone a three year expansion project that was finished in 2014 and it looks very modern inside, some areas with large spaces, others small and intimate. The brochure listed exhibitions that were either coming or going so for example we missed the Robert Rauschenberg show because it was taken down, while Rene Magritte was being put up in its place. Nevertheless we managed to see a few interesting things. 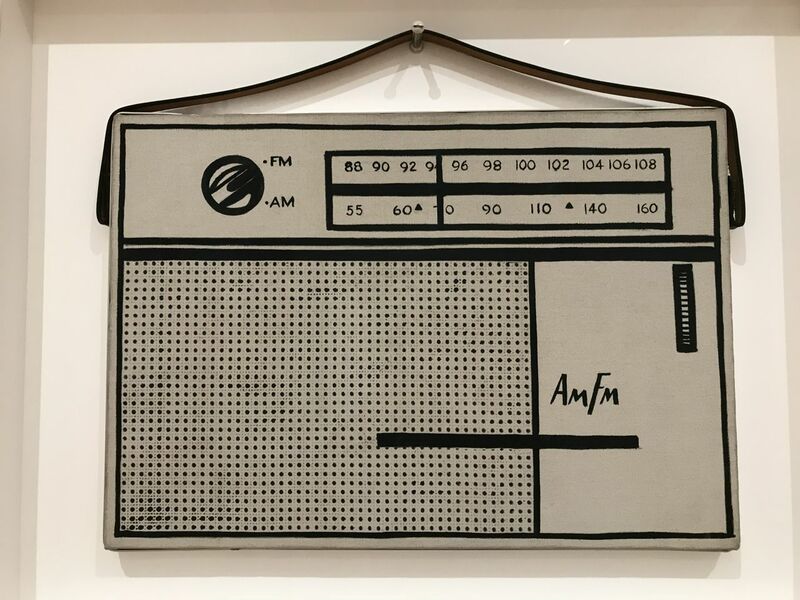 There was some pop art on show, and we saw works by Andy Warhol, like Marilyn Monroe, Jackie Kennedy in the dress she wore when John F Kennedy was assassinated, Elvis Presley shooting a gun in a cowboy outfit, Elizabeth Taylor in National Velvet and self-portraits. 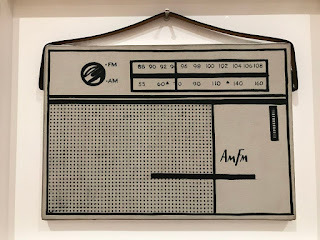 There was also Roy Lichtenstein with his comic book works, but in particular I enjoyed Portable Radio, a canvas that was painted to look like a transistor radio that had a leather strap attached to the right and left sides to make it "portable". 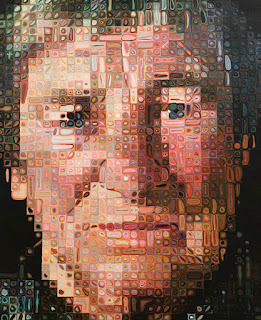 Works by Mark Rothko and CY Twombly were also exhibited, along with Chuck Close, whose portraits need a lot of distance to be able to decipher them. 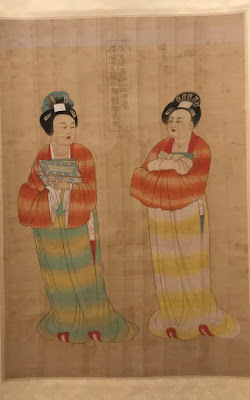 Many of the exhibitions are not large -- a section of one floor, and even a small space could be a mini gallery. For example one area showcased protest posters over the decades. One show featured the works of Alexander Calder, presenting his mini mobiles or models for larger projects, some of which were displayed outside on the terrace. 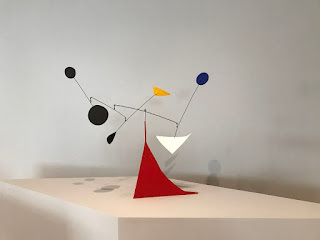 He liked to create movement out of static sculptures. When it came to his larger works, teams of men had to weld giant pieces of steel together to create his pieces, very heavy and large, bolted together. Probably today they would look cleaner with newer technology to be able to make them look less clumsy without so many bolts. But at that time in the mid 60s, his designs were considered revolutionary. 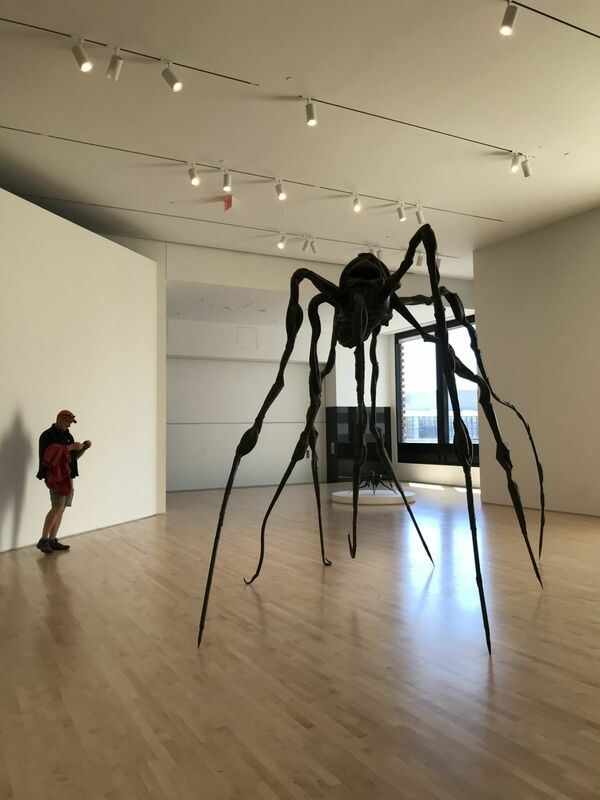 Look how big Louise Bourgeois' spider is! 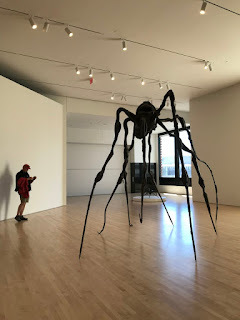 Another exhibition featured the works of Louise Bourgeois. Her subject? Spiders. It was definitely not for those suffering from arachnophobia! She made giant bronze statues of these eight-legged creatures, and explained that she appreciated their industriousness and artistry in creating webs. We found them kind of scary! Finally a poignant series if photographs called The Train by Paul Fusco, who rode the train that was carrying Robert F Kennedy's body from New York to Washington DC for burial in Arlington Cemetery. The photographer took pictures of the people who lined the train tracks with signs like "So long Bobby", giving salutes, or looking stunned that yet another promising leader was shot dead. Afterwards when I went to the gift shop and bought a few things, the cashier told me the total and asked if I minded rounding it up a few cents to donate to the museum. Sure, why not? Every bit counts he said, and if you're polite enough to ask, it's hard to say no. A great idea. Wonder how much they have raised this way?